International Financial Reporting Standards (IFRS) is now in Canada and coming soon to the U.S. Most applicable organizations in Canada have already converted and we are seeing the movement toward convergence and IFRS sweep across the U.S. The organizations affected most include public companies, that is those listed on stock exchanges and crown corporations. Private companies have a choice as to whether or not to implement IFRS. Click here for more information on private companies. Knowledge Plus is heavily involved in helping organizations prepare for IFRS and/or convergence. Our most popular requests to date have been for training courses to educate accountants and financial professionals on the differences between IFRS and GAAP. We are also actively engaged in helping clients transition over to the IFRS. All of our workshops are highly interactive in order to maximize learning. Dr. Fattal, Senior Associate of Knowledge Plus, is profiled as the cover story in The Bottom Line, a popular accounting journal, when speaking to an audience of approximately 140 accountants on the upcoming Private Enterprise GAAP. Karine Benzacar, Managing Director of Knowledge Plus, is profiled as the cover story in CMA Management Magazine. Karine Benzacar published an article in the Analyst describing impact IFRS will have on users of financial statements. Karine Benzacar published an article in the Financial Post describing the status of IFRS conversions in Canada and some of the risks affecting companies. What you should look for in an IFRS course? Karine Benzacar published an article in the Bottom Line accounting journal describing some of the important topics you should cover in an introductory program. 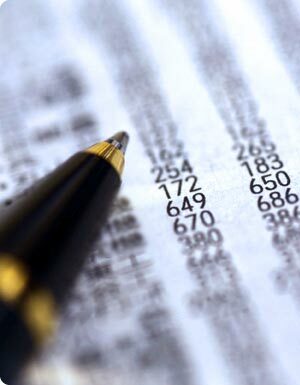 IFRS will bring some major changes to the look and feel of financial statements. These changes are expected to come to Canada with IFRS in January 2011 and will also affect US companies at the same time, whether or not the US procees with IFRS. Karine Benzacar published an article on some of the changes in the Financial Post. Karine Benzacar publishes an in-depth article in the CMA Management Magazine on the new proposed financial statements which are expected to come to Canada with IFRS in January 2011 . The SEC in the United States has decided to move forward with a roapmap for IFRS implementation. Karine Benzacar published an in-depth article for bankers in The RMA Journal. Karine Benzacar publishes a second in-depth article in the CMA Management Magazine on the status of IFRS, International Financial Reporting Standards, a new development in the financial field. Karine Benzacar publishes an article in the Financial Post on the status of IFRS, International Financial Reporting Standards, a new development in the financial field. The article describes the current state of flux of the new standards and its impact to Canadian organizations as the United States evaluates the standards and enhances the standards together with the international regulatory body.